This article will go over how to update your billing information that is on file for your CaterZen monthly fee. You can have your monthly fee billed to a credit card or have a monthly draft taken from your bank account. Please note that only the admin can access this information. **If the message below is appearing at the top of your CaterZen site please inform your Admin immediately to prevent interruption on your account. 1. 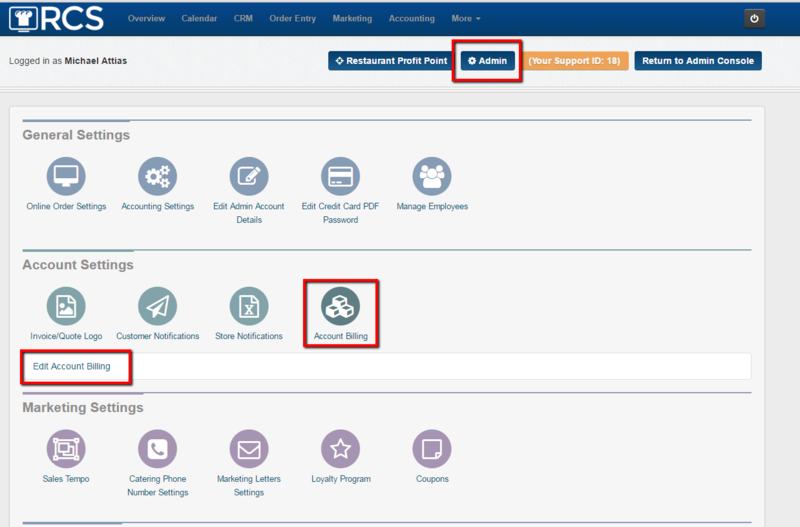 Click on the ADMIN tab and look for the ACCOUNT BILLING bubble under the Account Settings section and then click on the Edit Account Billing link. 2. 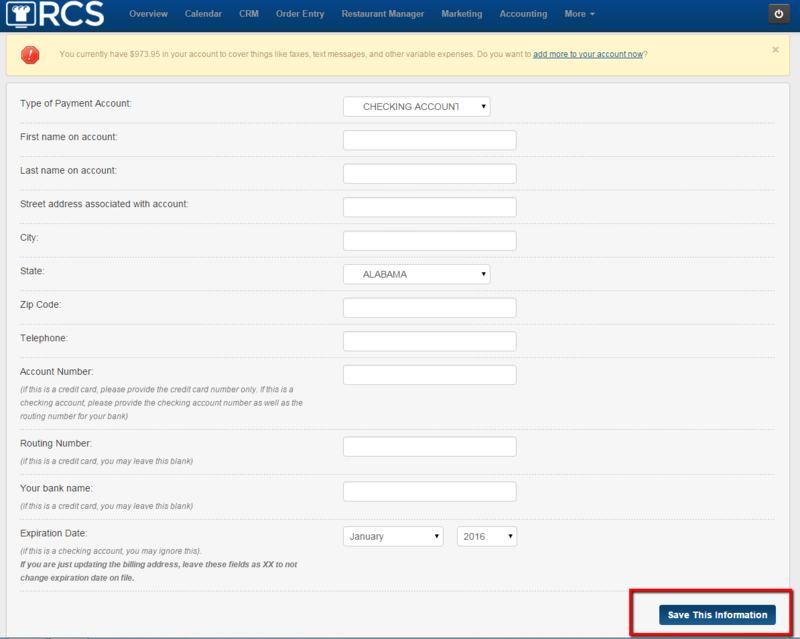 Next you will see a drop down for the Type of Payment Account you would like to use. You can keep a credit card on file or have a draft taken from a bank account. 3. 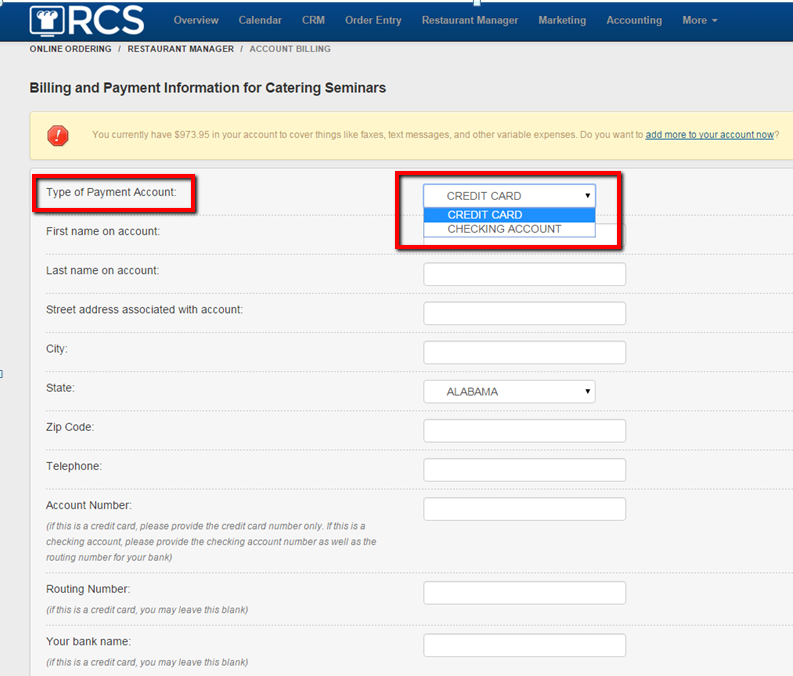 You will then fill out the information assigned to the Payment Method. 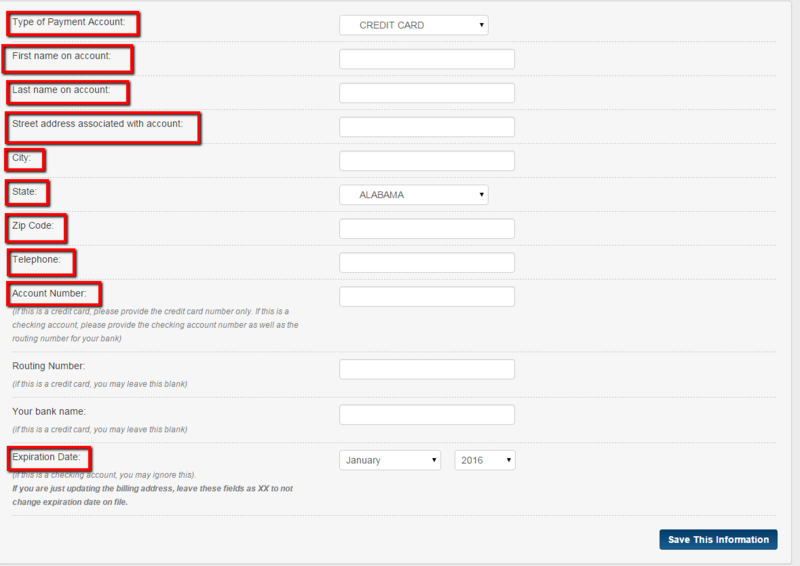 Below are the sections you will need to fill out for the payment method Credit Card. Please make sure the information you fill out matches the information that the credit card is billed too. 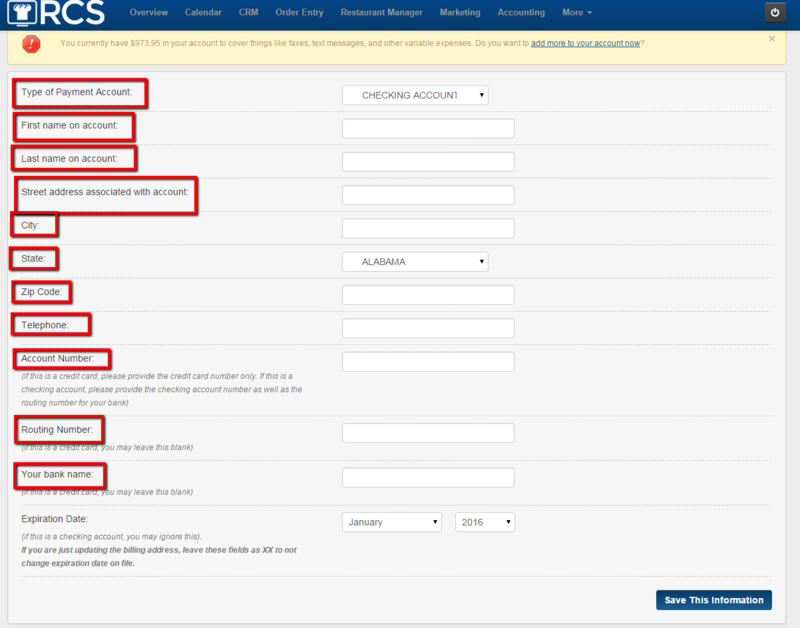 Below are the sections that you will need to fill out if your payment method is Checking Account. 4. Do not forget to press the Save This Information button after filling out the information. 5. Your CaterZen monthly billing fee information has now been updated. If you have an outstanding monthly or variable fee once you press Save This Information the system will automatically try to process your outstanding balance. You will receive a message at the top of the page letting you know that your information has been saved AND if any payments were processed.